It has been announced that McCann London now has the Chivas Regal’s global advertising business account. Last month, Chivas Regal has made it public that the popular whisky brand was monitoring a notable decline of Chivas in China. Hoping to find a getaway in the upcoming year, the company shared a shortlist of four agencies for its UK advertising business after Havas London withdrew from the process. The agencies shortlisted were: Bartle Bogle Hegarty, Crispin Porter Bogusky, McCann London and Wieden & Kennedy. The McCann team impressed with their fresh creative and strategic thinking, which we believe will help take Chivas to the next level. We look forward to a long and fruitful partnership. We are over the moon with our appointment on the Chivas brand. To date, the team has been a wonderfully collaborative partner and the opportunities for the brand moving forward are immense. Havas London, a communications industry leader that delivers integrated solutions to leading brands, had been responsible for the “Win The Right Way” campaign for Pernod Ricard-owned Scotch whisky brand Chivas Regal. The agency had been keeping the account since 2008. McCann London is a 200ish-strong team, dedicated to telling the truth and doing it well. Fuelling us along is gallons of tea, coffee and the desire to grow brands through creativity and innovation. 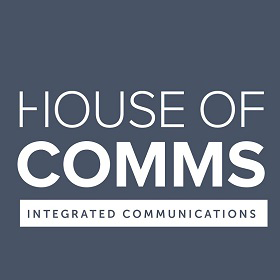 The Havas network is a communications industry leader that delivers integrated solutions to leading brands. Headquartered in New York, the network brings together 11,000 experts in 76 countries and is the largest unit of the Havas Group.